There are many among New Deal liberals today who want to replace the market fundamentalism of Milton Friedman with some kind of regulation of capitalism advocated by Keynes. But the solutions to problems are only as good as the proposed analysis of underlying causes of the crisis. 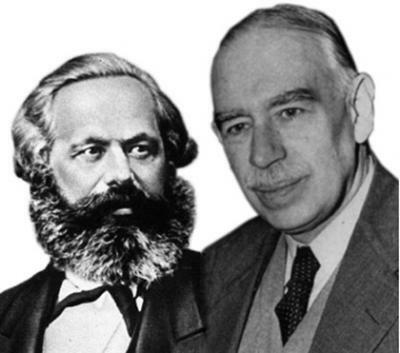 In his blog, Michael Roberts shows that Keynesians’ favorite analysis is a psychological one, of capitalist exuberance. The problem of course, is that capitalists would still be in crisis even if they became stoics.